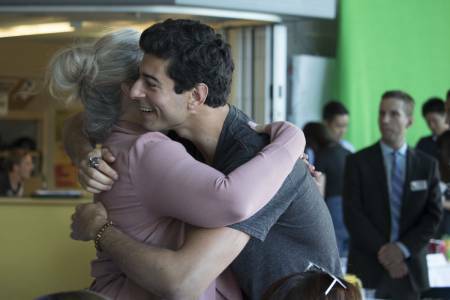 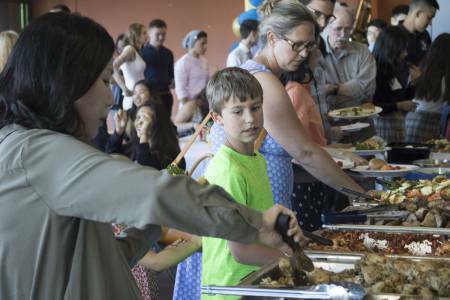 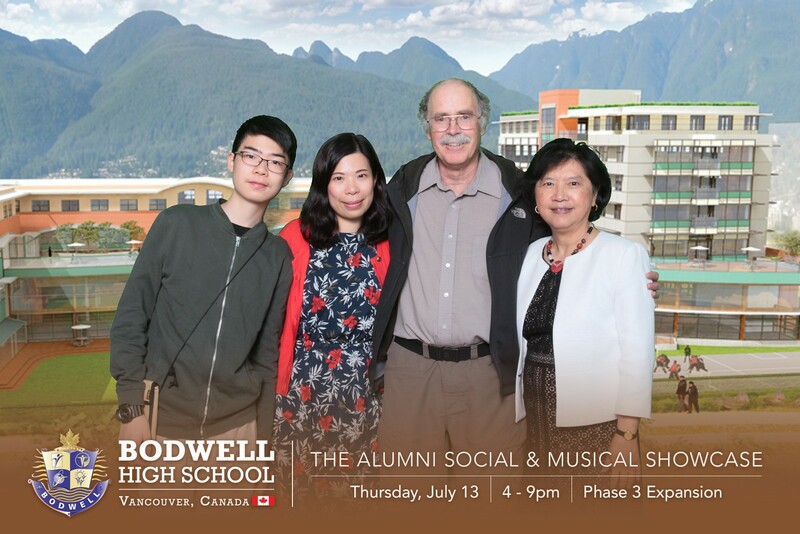 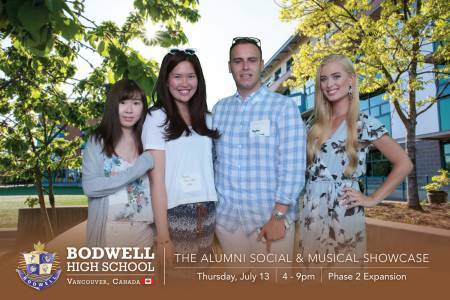 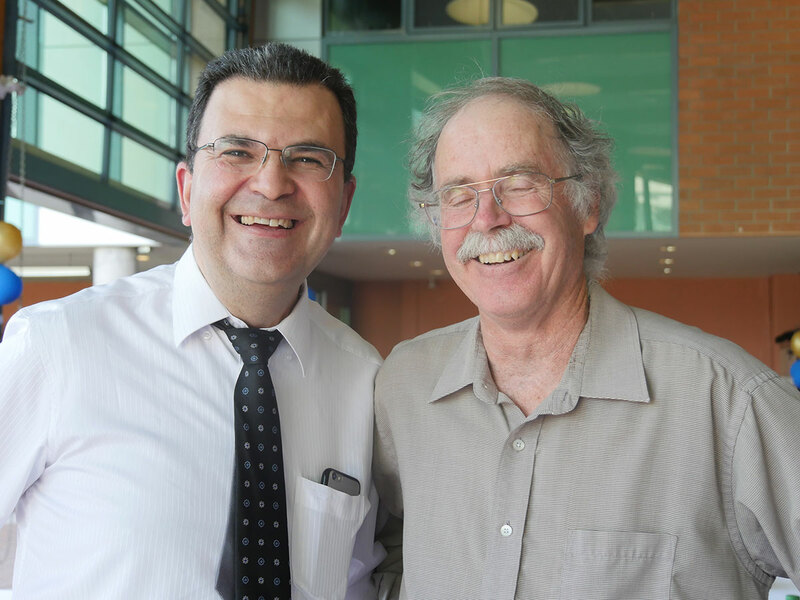 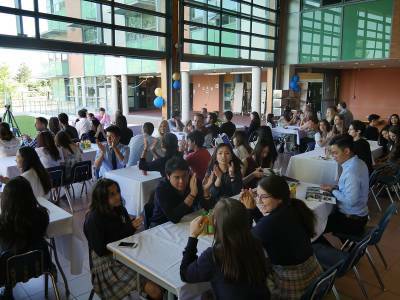 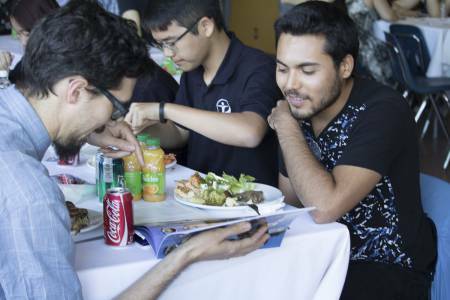 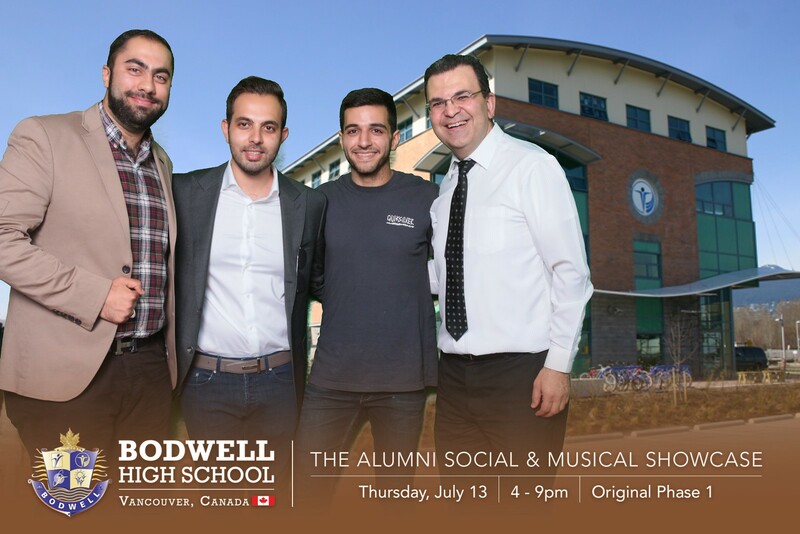 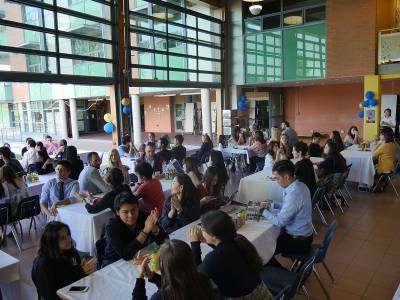 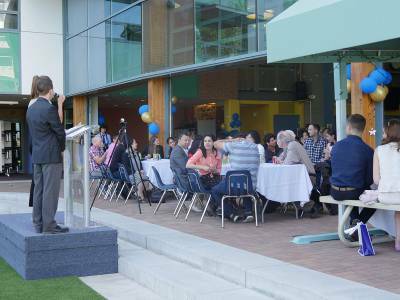 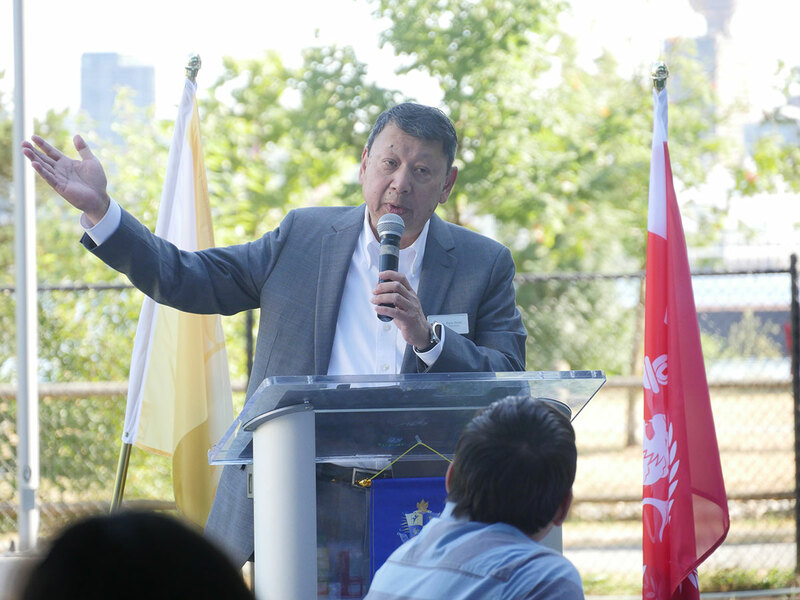 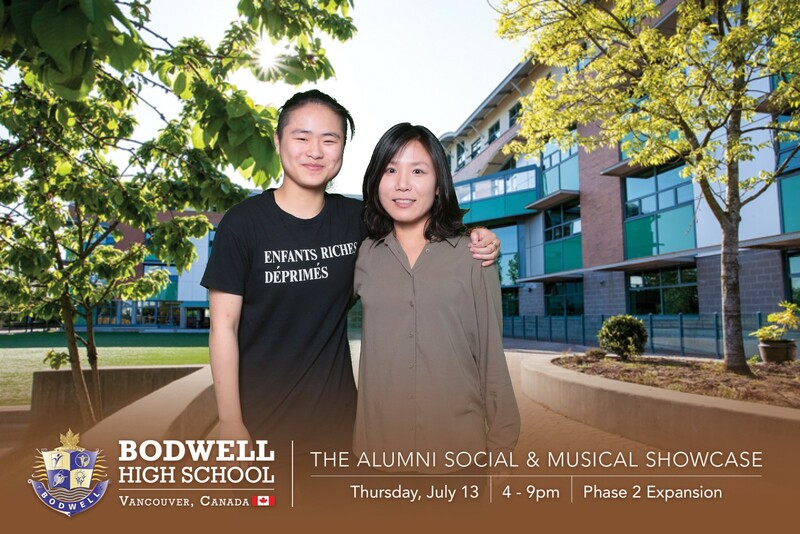 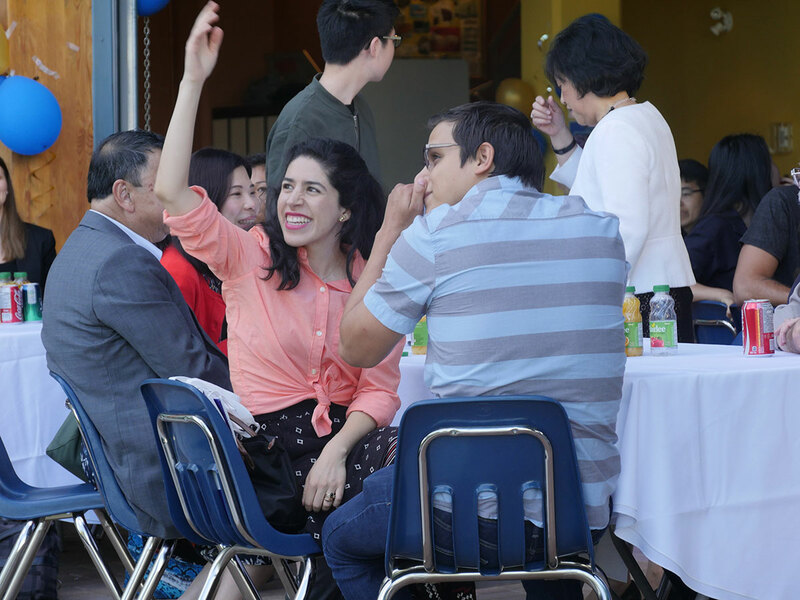 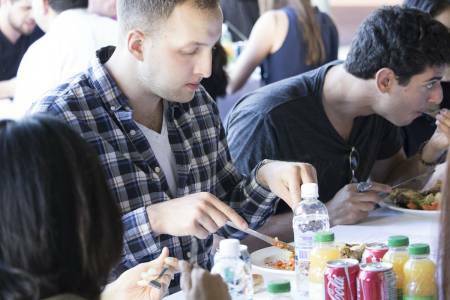 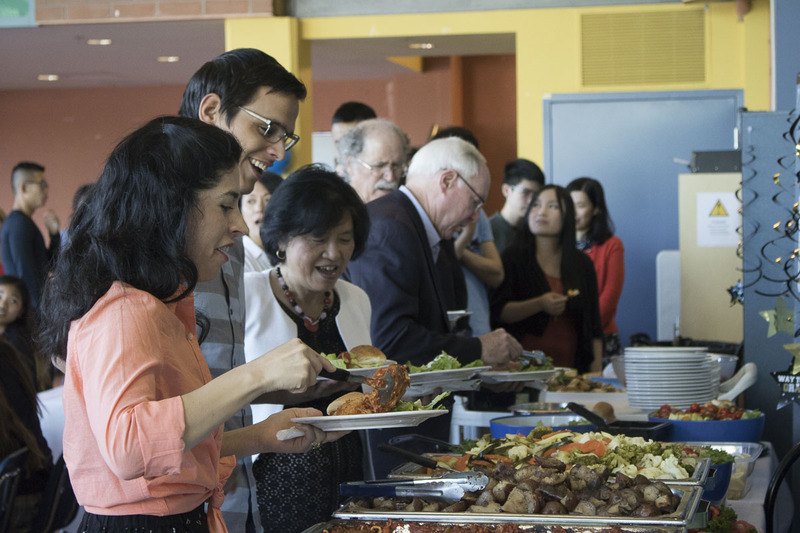 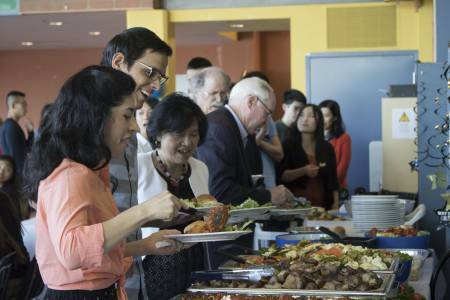 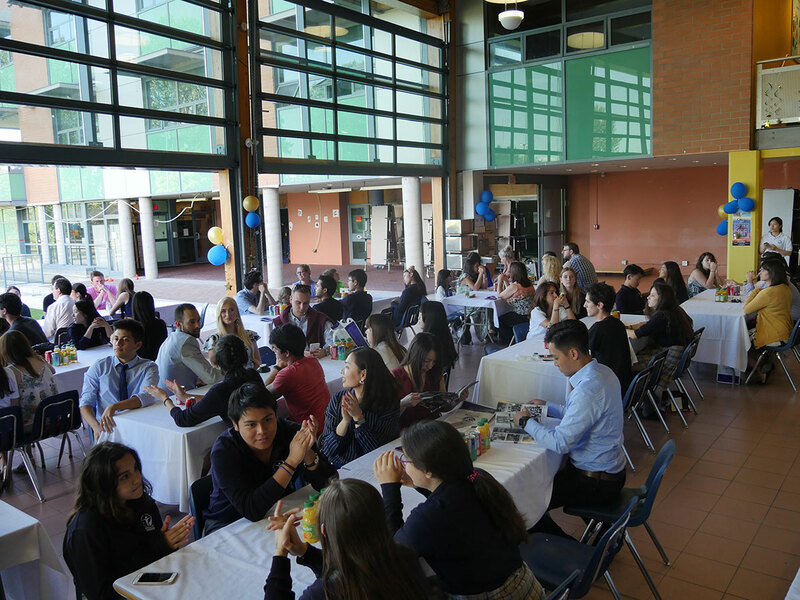 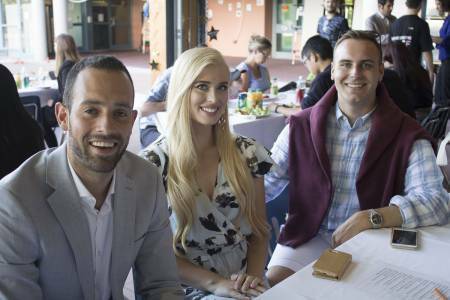 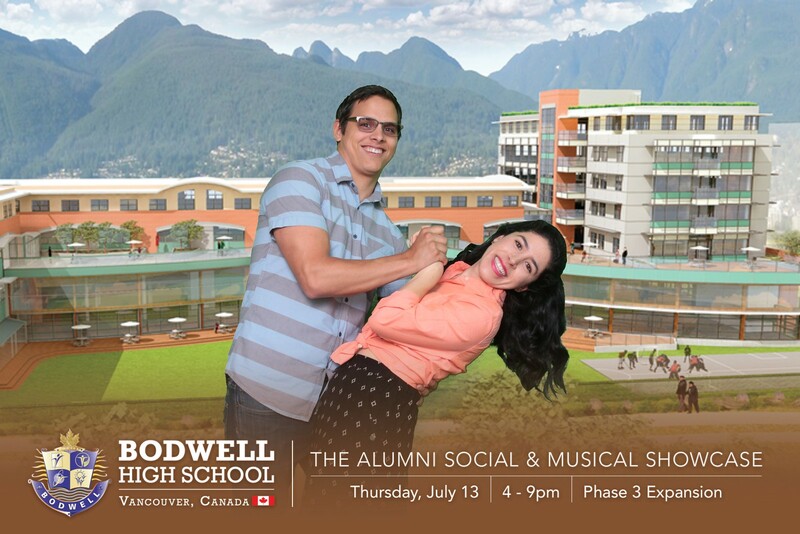 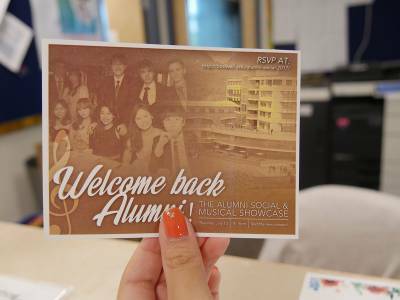 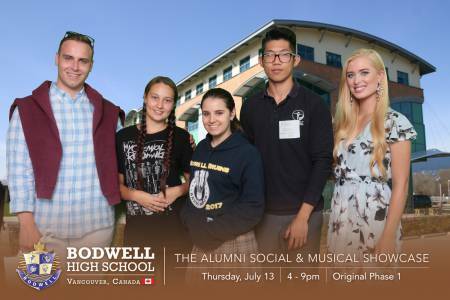 To celebrate the recent school expansion and near-completion of the East Wing that includes a second gym, second cafeteria, reception area, new library and 7-floors of new dormitory rooms, Bodwell invited alumni students and staff to attend a special social event on Thursday, July 13th, 2017. 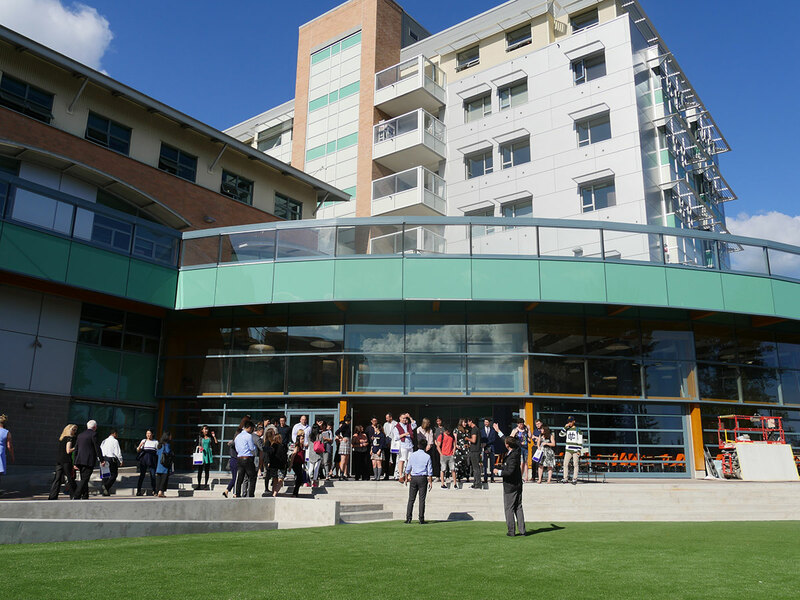 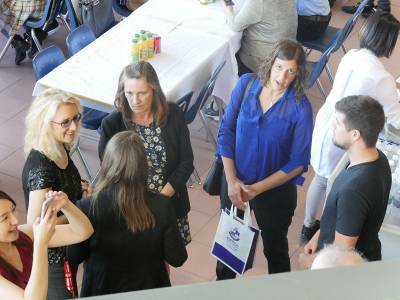 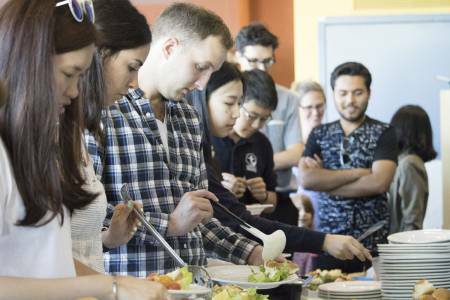 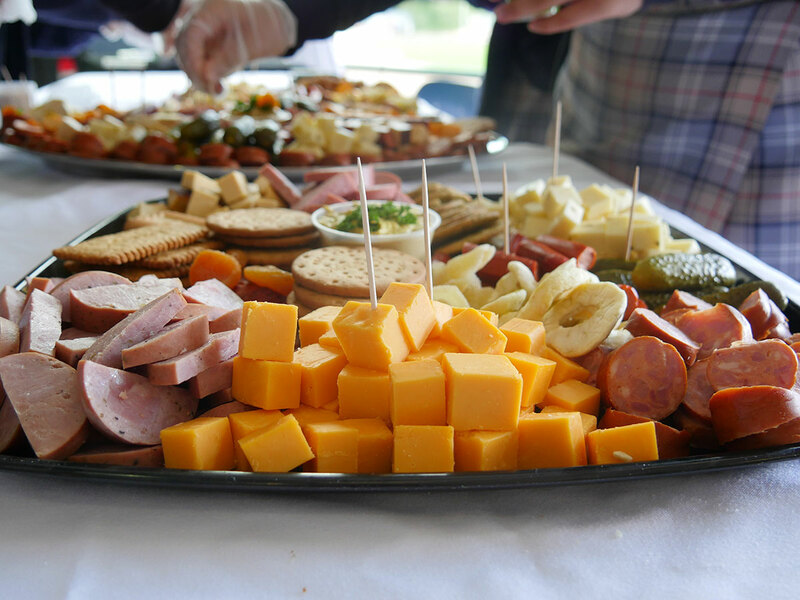 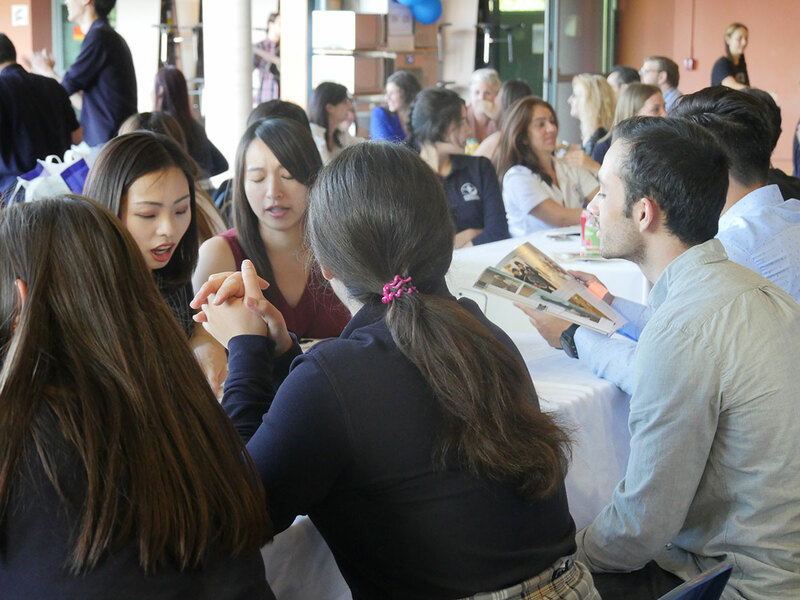 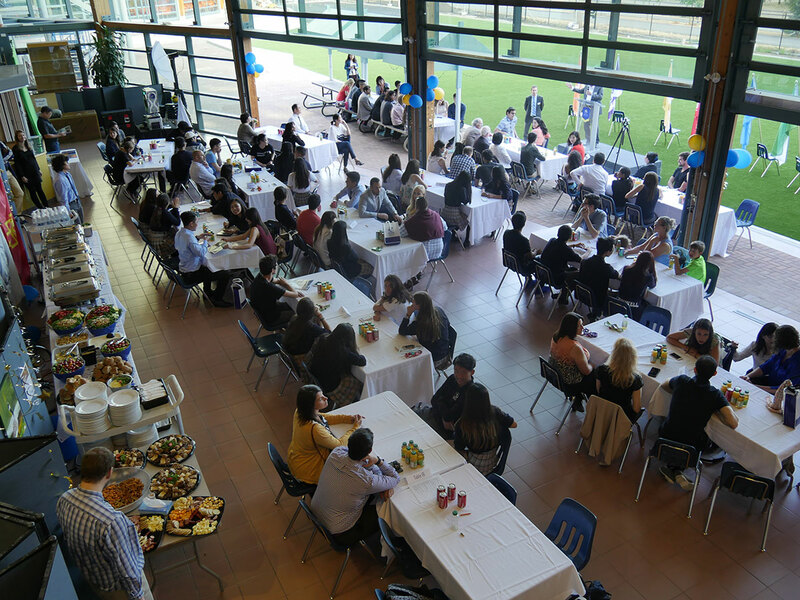 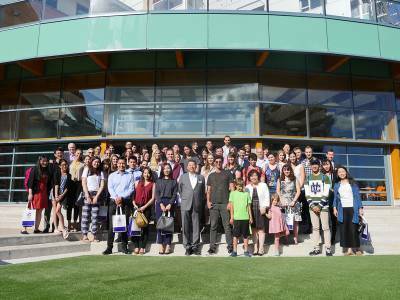 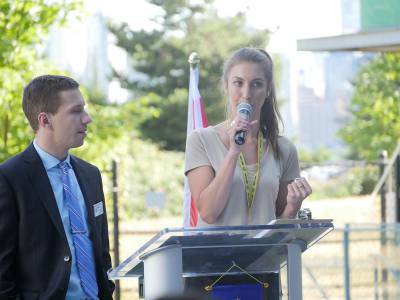 As part of the event, guests were invited to see sections of the new building, give inspirational speeches to the students attending (30+ current students from the Bodwell student parliament were invited), as well as to enjoy a special catered-for dinner. 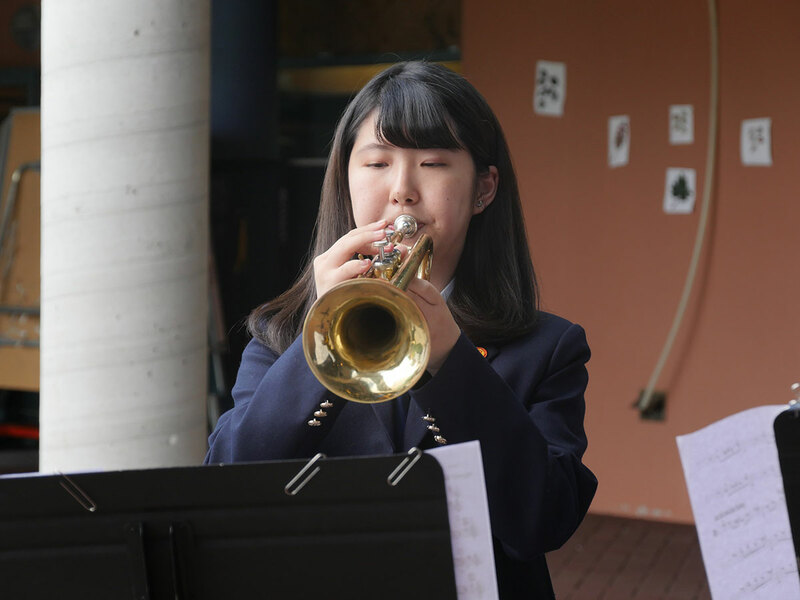 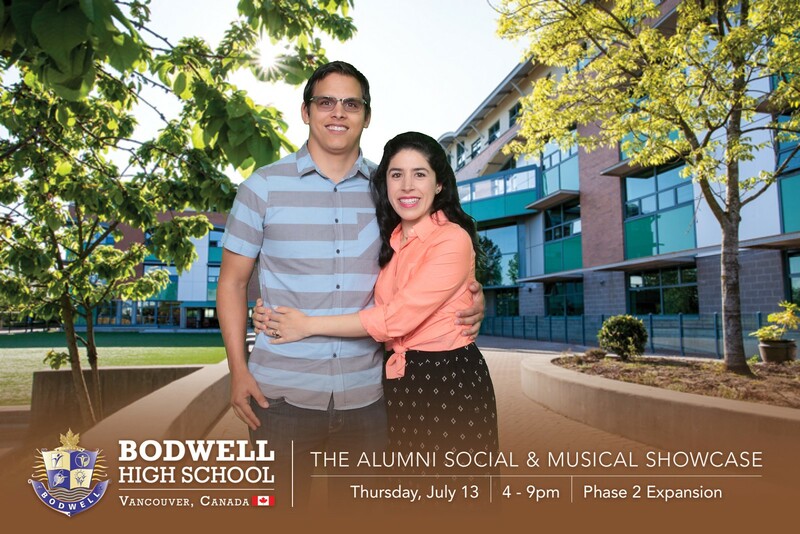 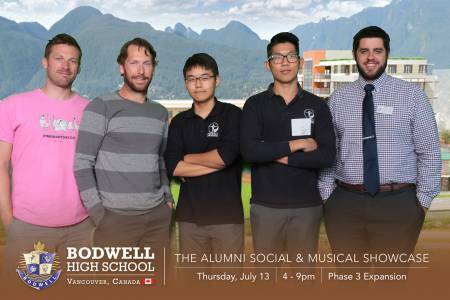 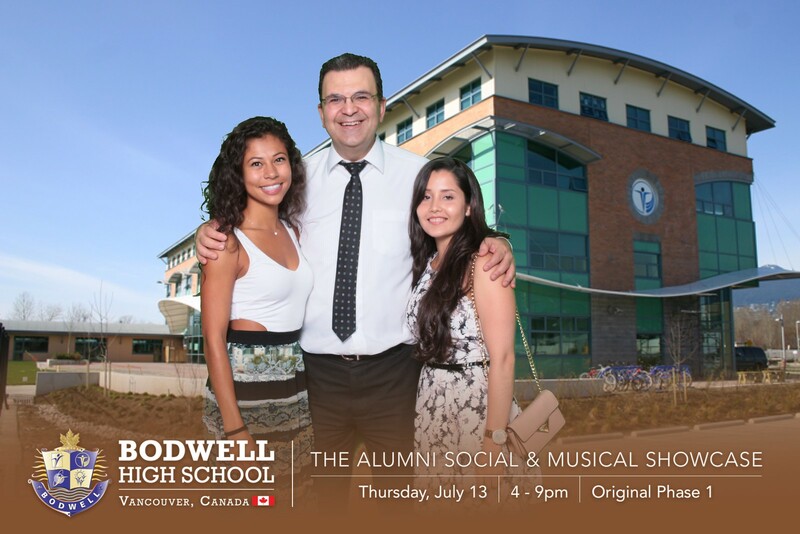 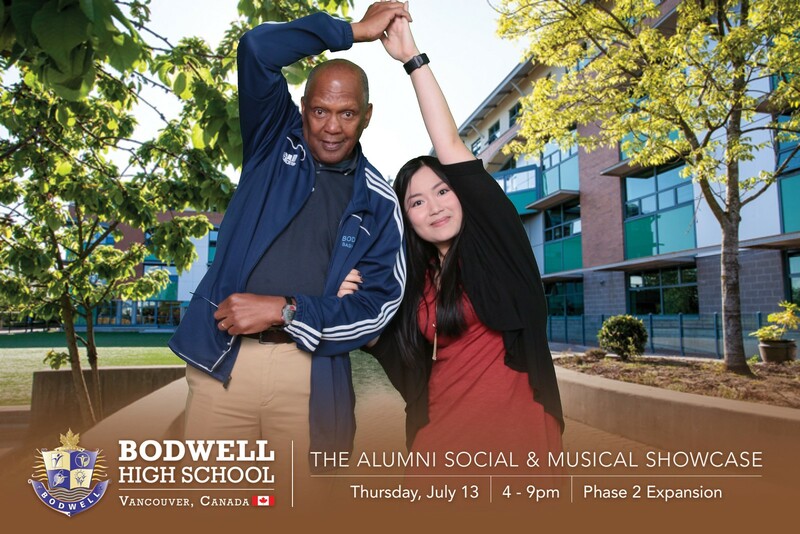 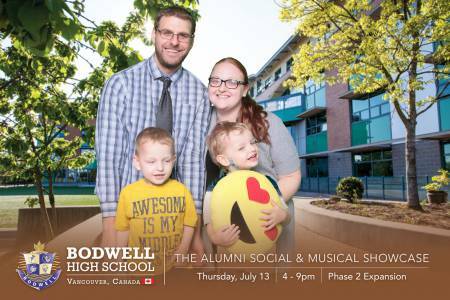 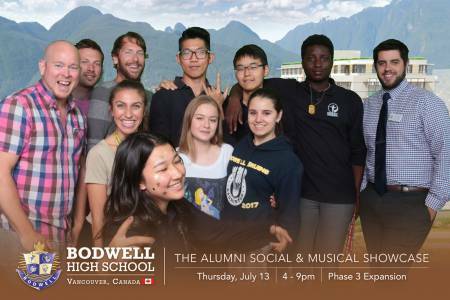 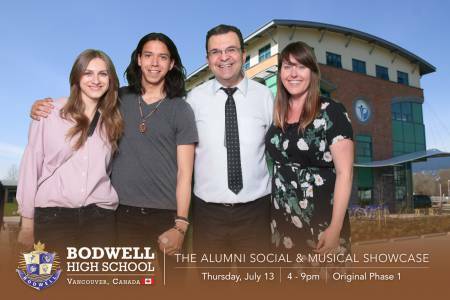 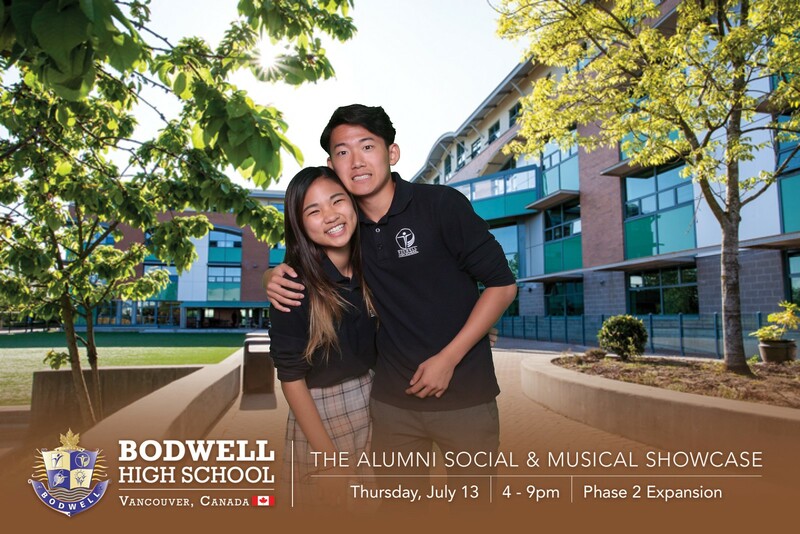 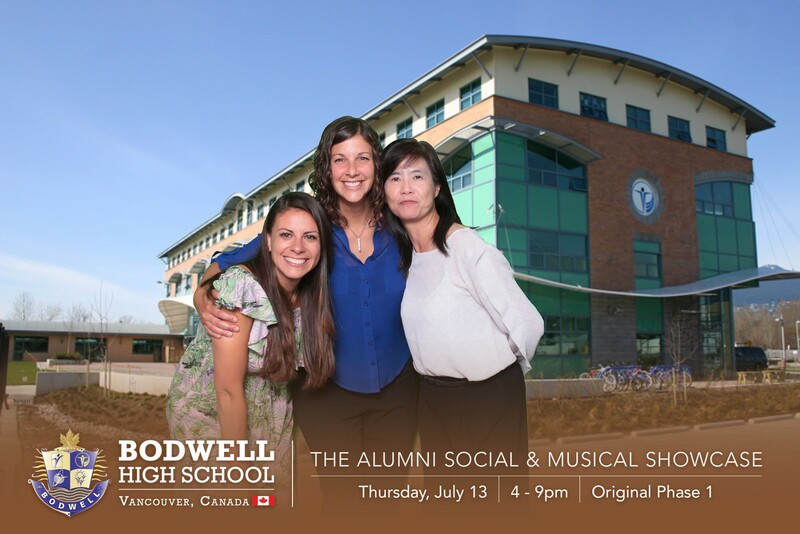 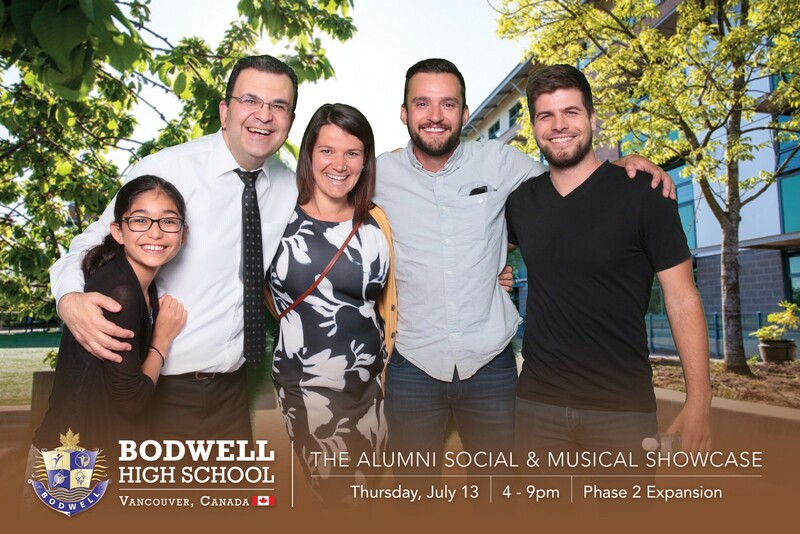 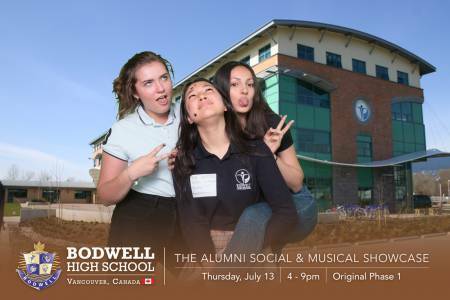 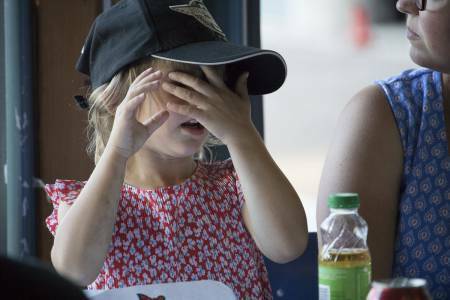 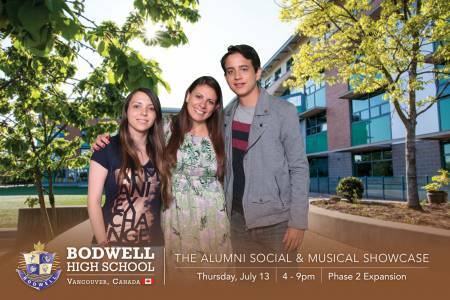 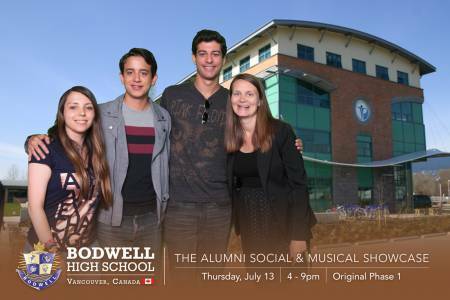 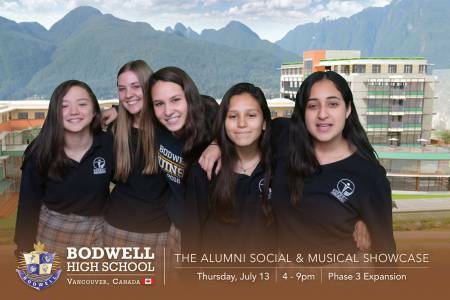 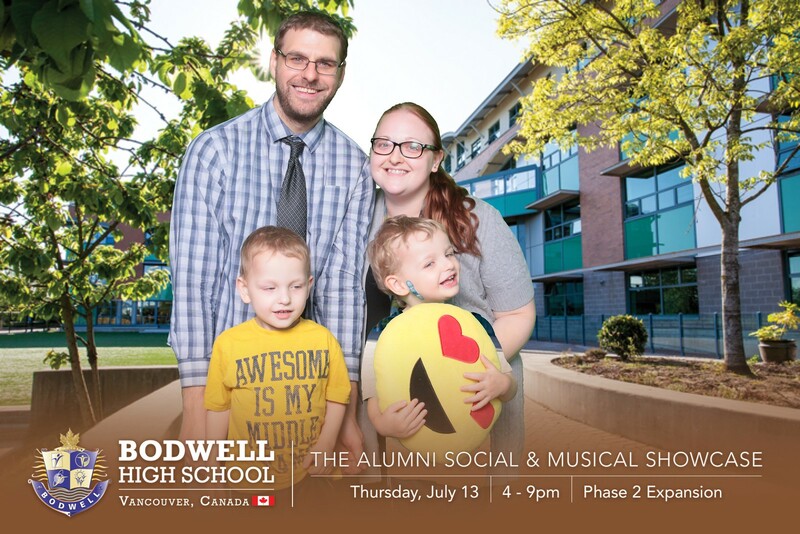 The event also had a fun photo booth to take memento photos (see gallery below for some highlights), and the Bodwell jazz band played some of their favourite tunes. 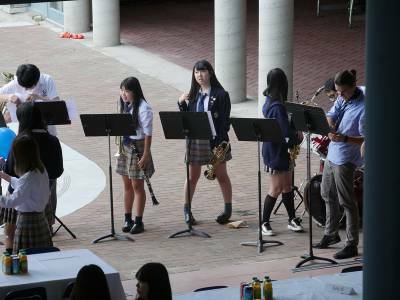 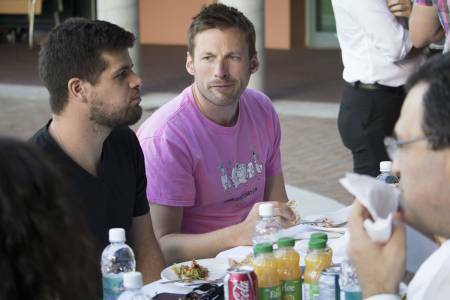 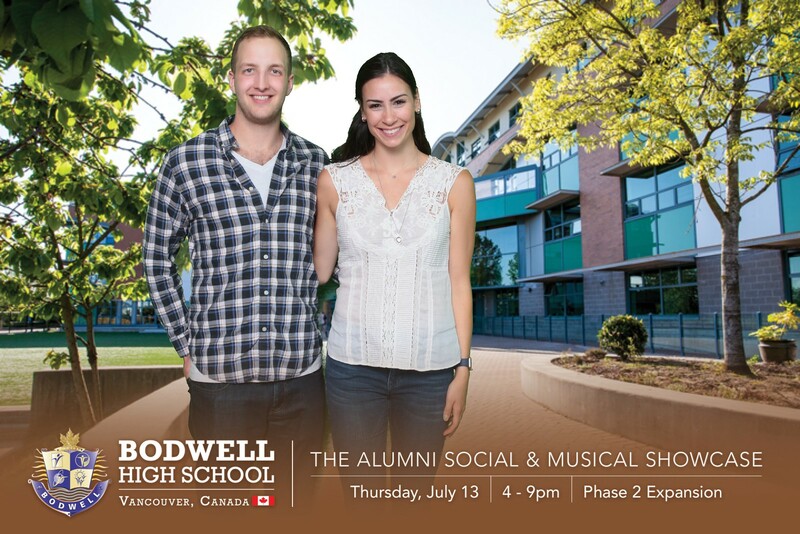 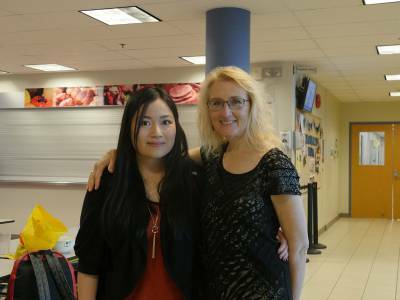 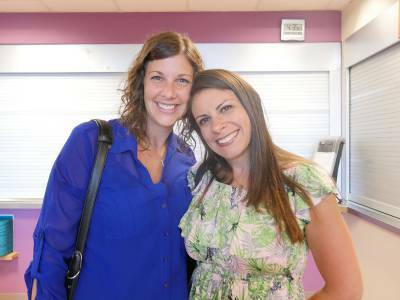 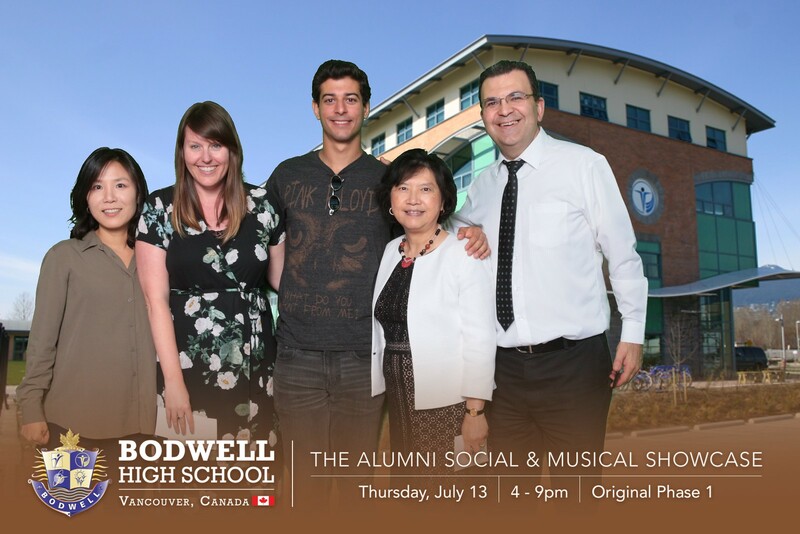 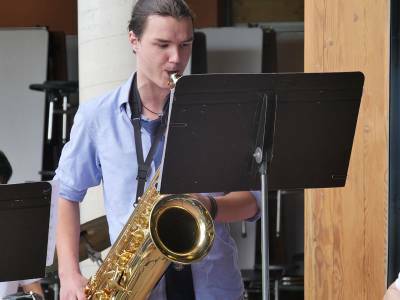 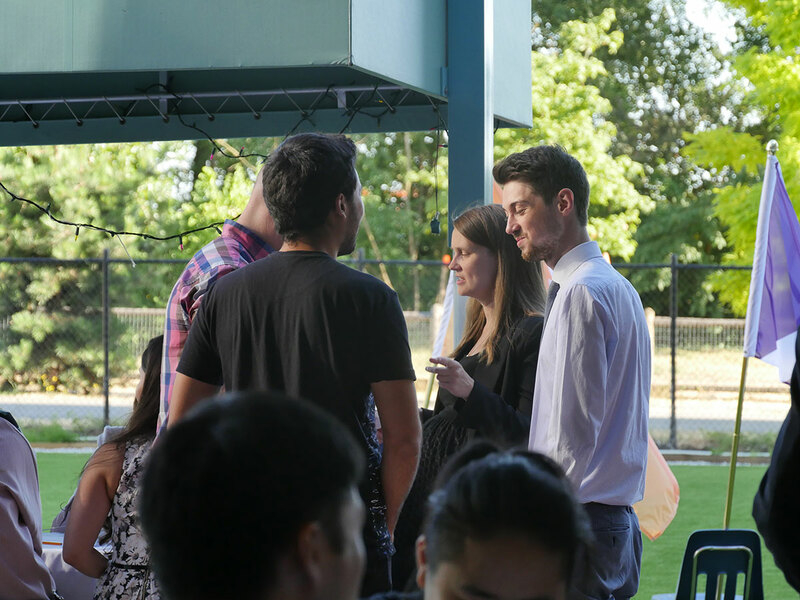 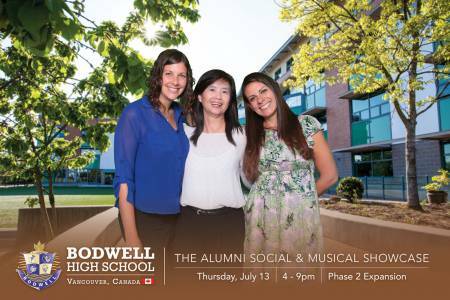 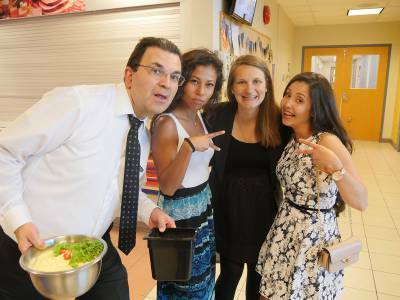 Bodwell’s music program, led by Music Director, Mr Jens Nissen, and teacher, Ms Laurel Dosman, hosted an evening of music extravaganza as a closing to the event, which some alumni staff and students stayed around to listen to. We will have an article containing photo and video highlights of this soon. 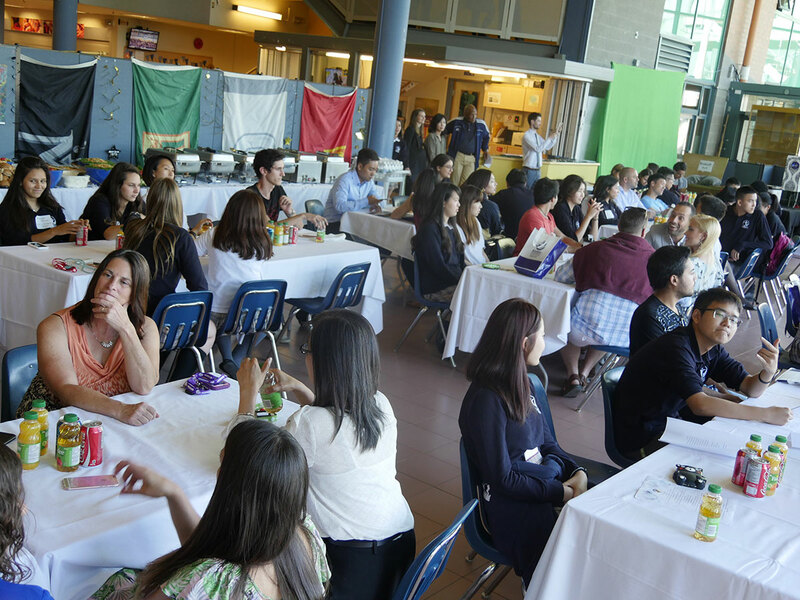 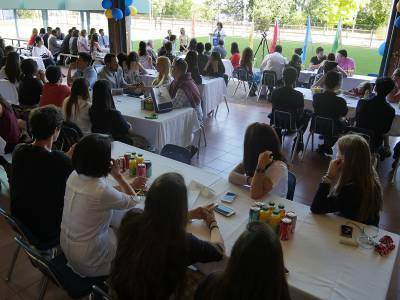 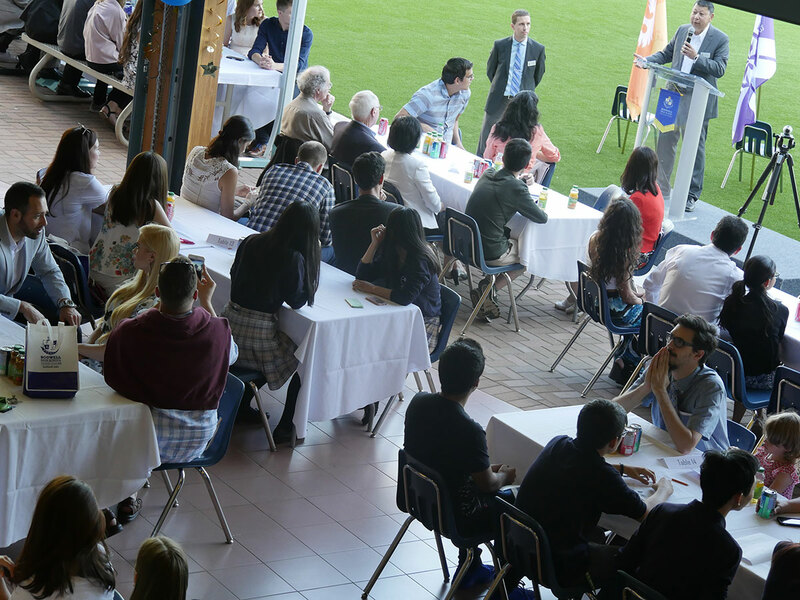 The alumni social was a great success with approximately 50 alumni students and 10 alumni staff attending. 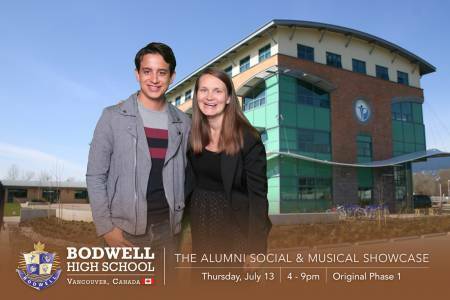 We even had an alumni student who graduated in 1999 attend along with her son. 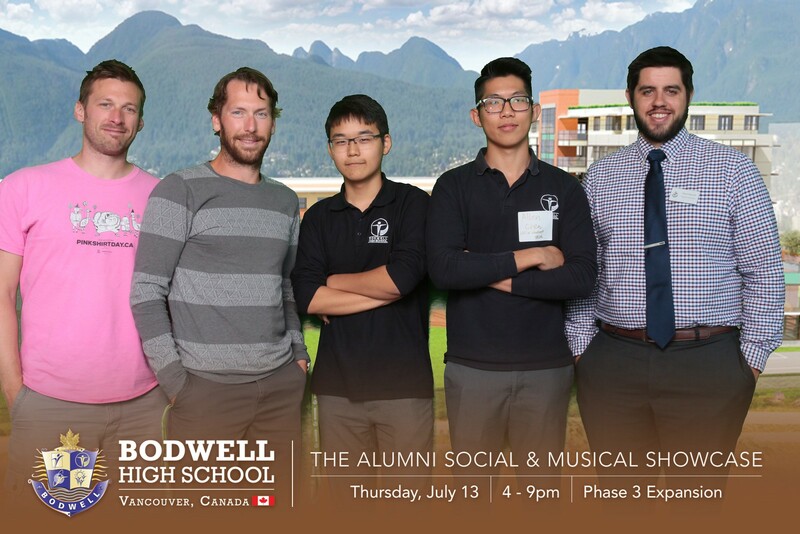 We had over 13 different years of graduations represented. Thank you to everyone for making this such a great occasion. It was wonderful to catch up with so many friends and see how everyone is doing. We’d love to hear feedback about the event from those who attended in the comments section below or via email. 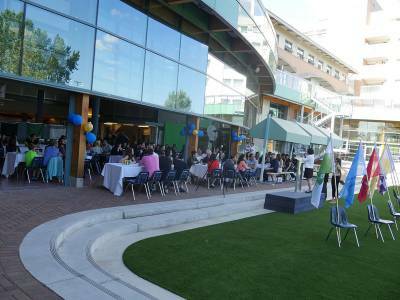 We hope to host another event sometime next year. 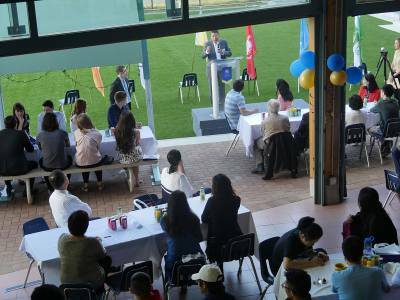 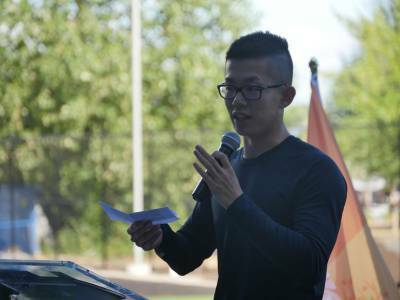 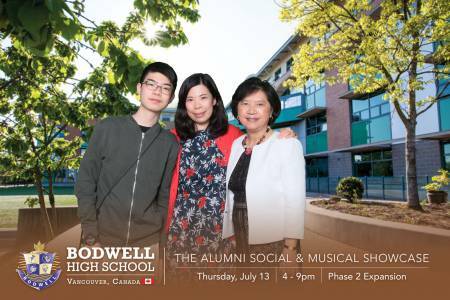 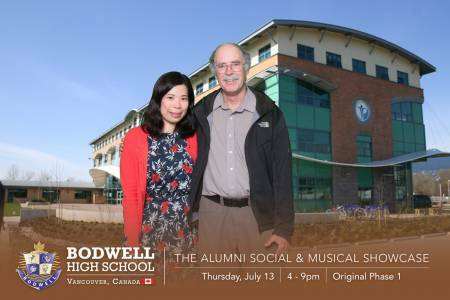 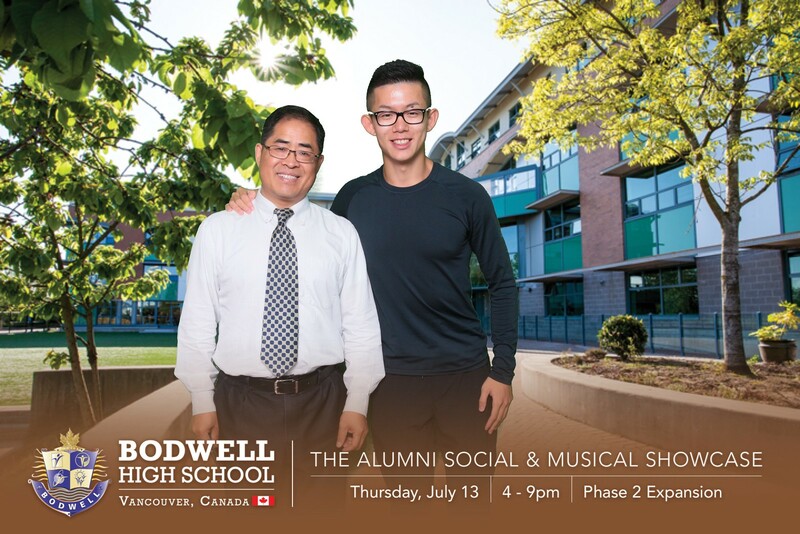 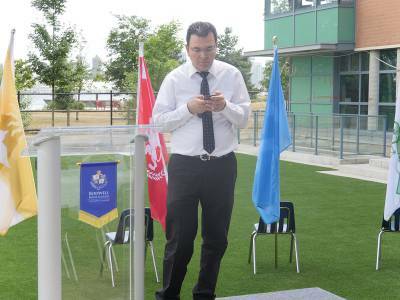 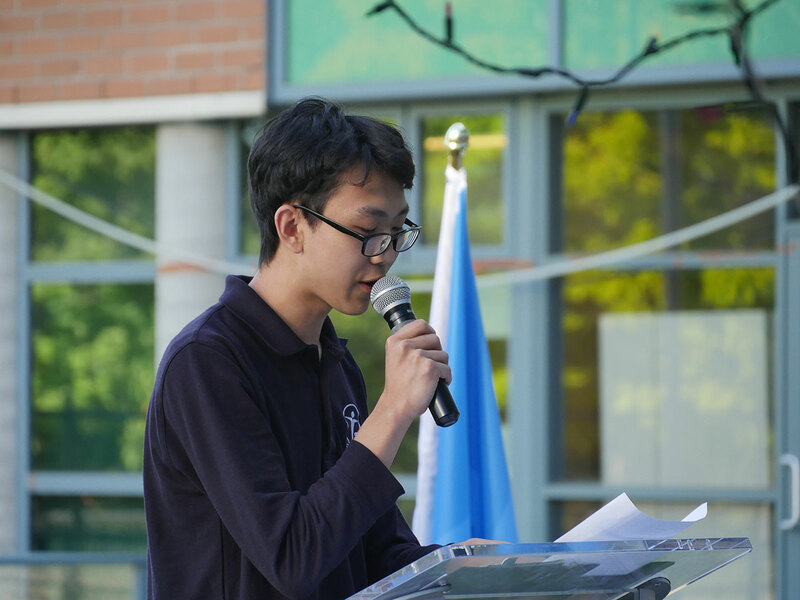 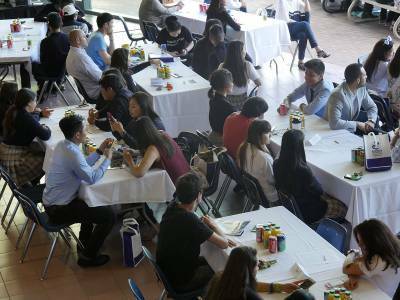 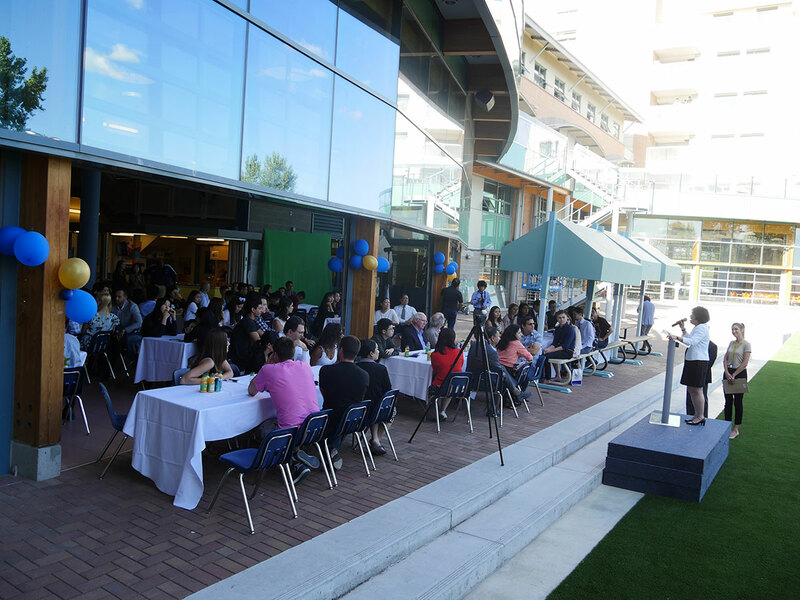 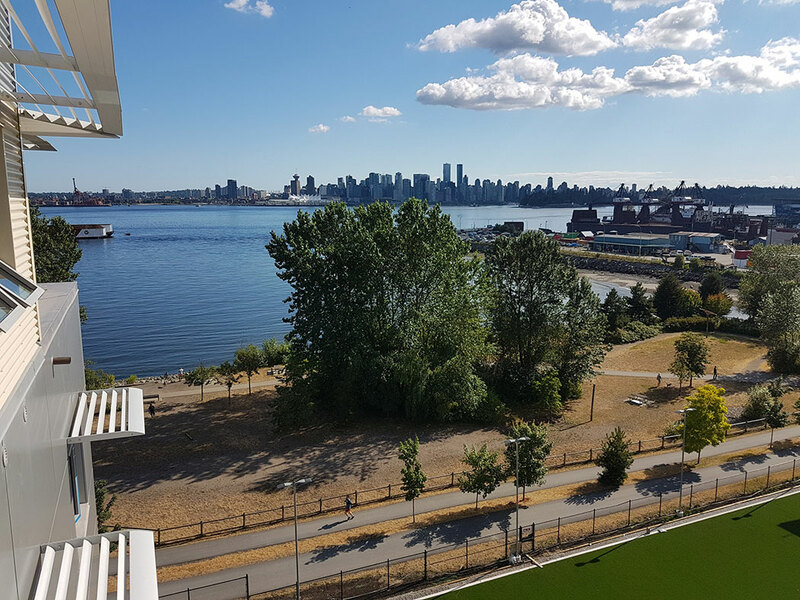 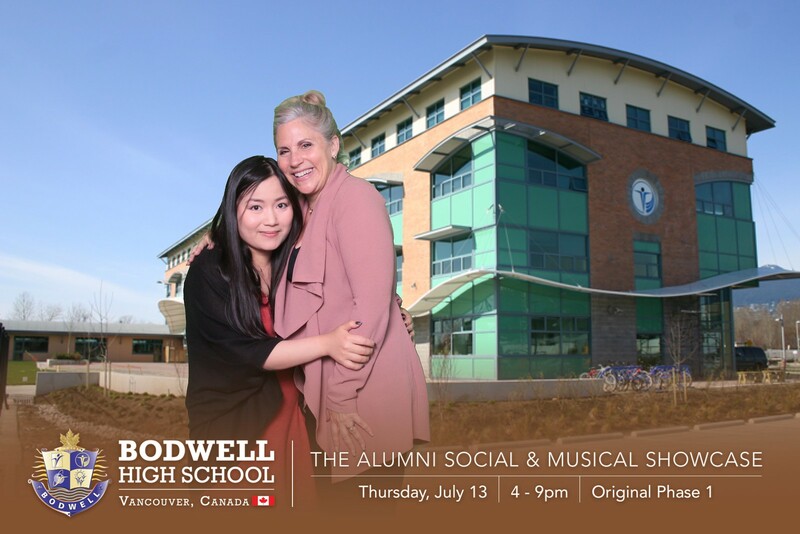 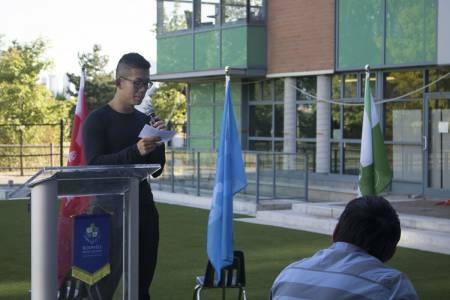 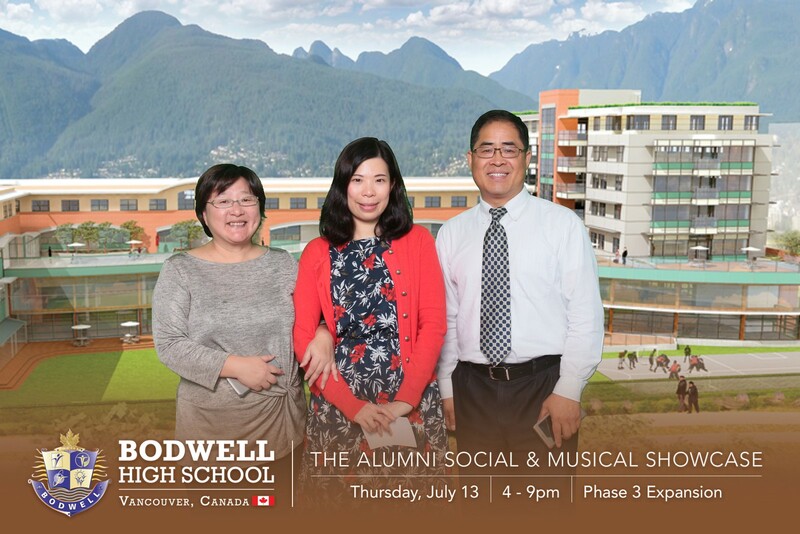 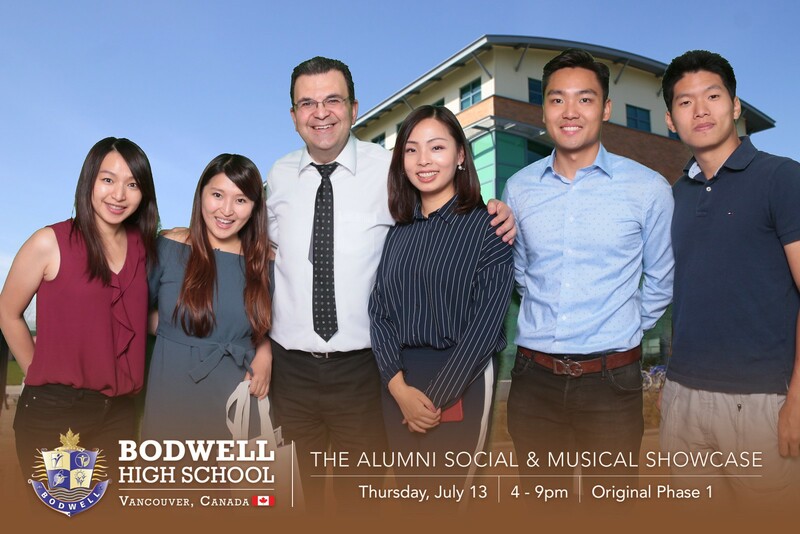 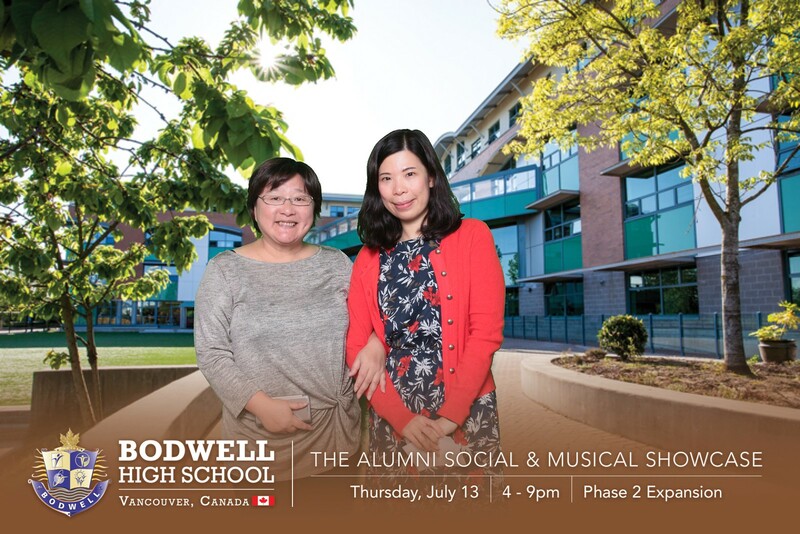 Please watch some of the video highlights and look through some of the galleries below, which include speeches by Bodwell staff and students, including Mr Paul Yuen, President, Ms Cathy Lee, Principal-Academics, and Mr Stephen Goobie, Principal-Student Life. At the event, Ms Cathy Lee, Principal-Academics announced the formation of the Alumni Scholarship Fund and appealed to alumni in the audience to consider giving generously to support students in need. 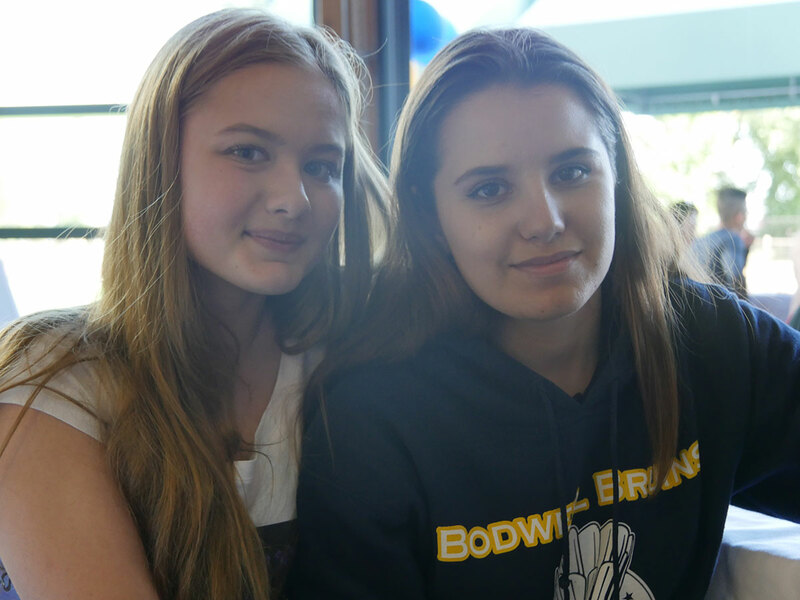 All amounts of donations are welcome and small amounts will grow into a bigger fund. 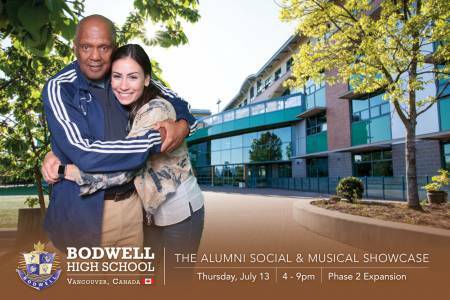 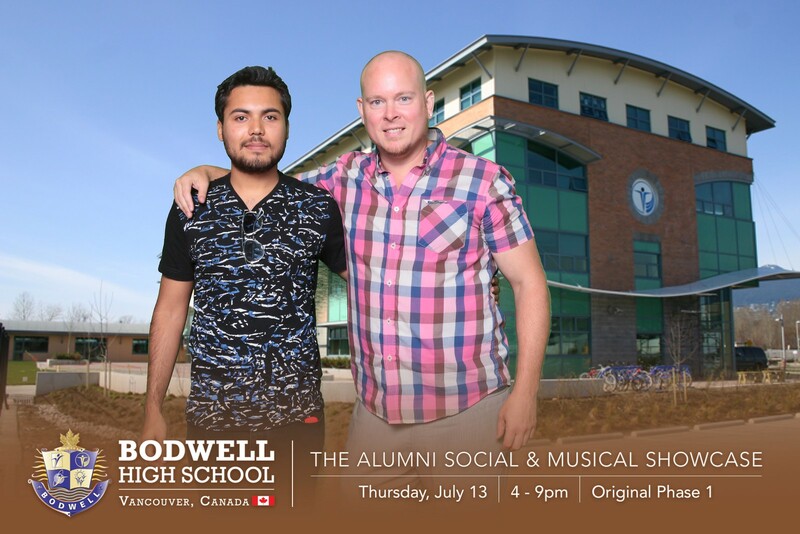 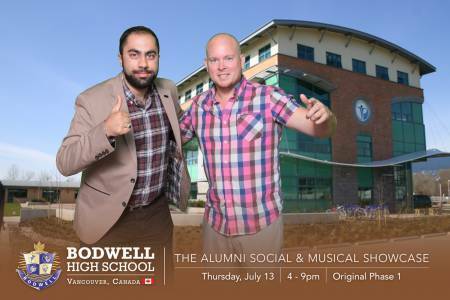 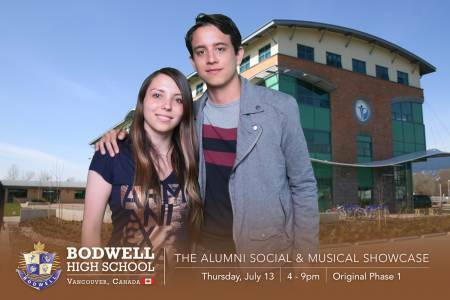 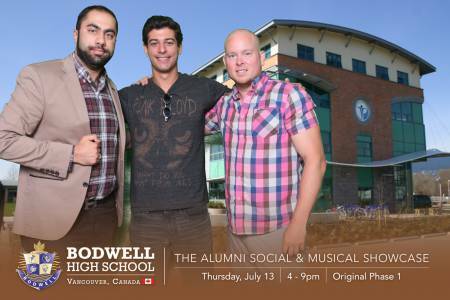 Bodwell High School needs the support and contribution of alumni to strengthen our tradition, and offer a quality education to deserving students. 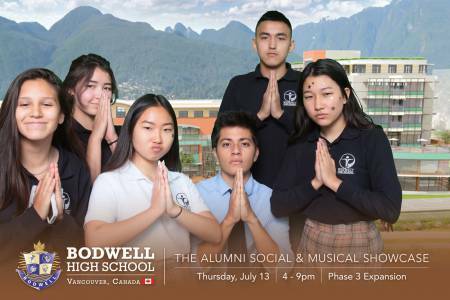 The fund will be under the auspice and monitoring of the Board of Directors of Bodwell Academy, which is a non-profit organization. 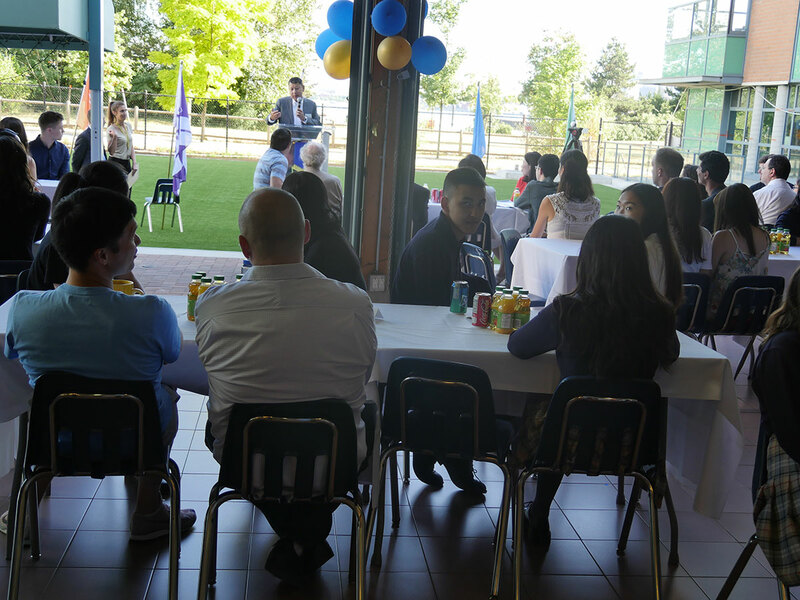 All funds coming into the Academy will only spend on specific educational activities and surplus funds will stay with the organization in perpetuity. 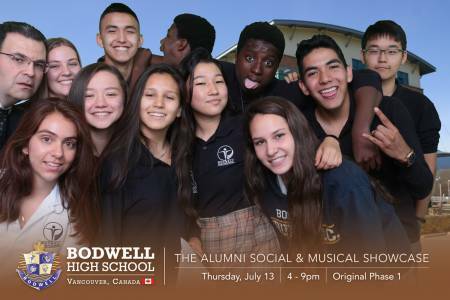 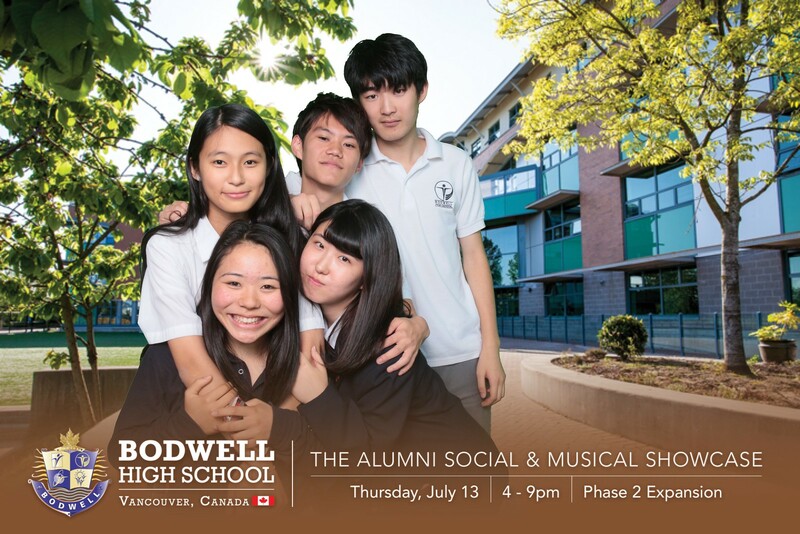 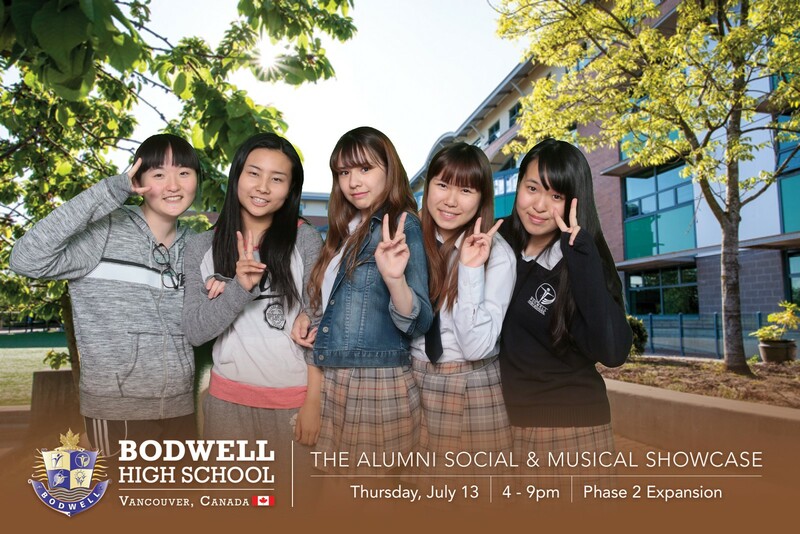 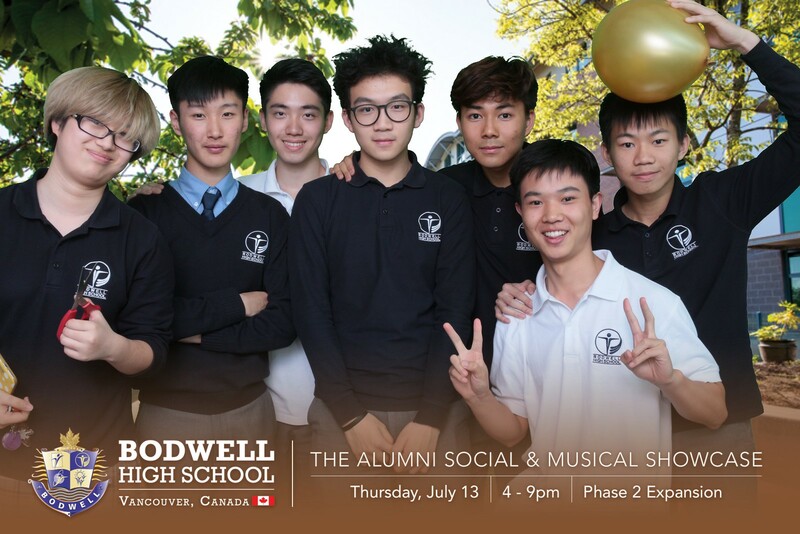 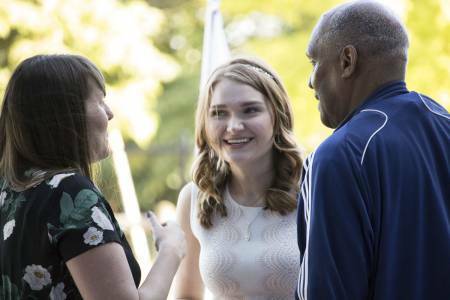 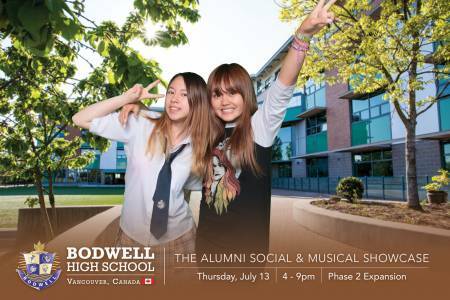 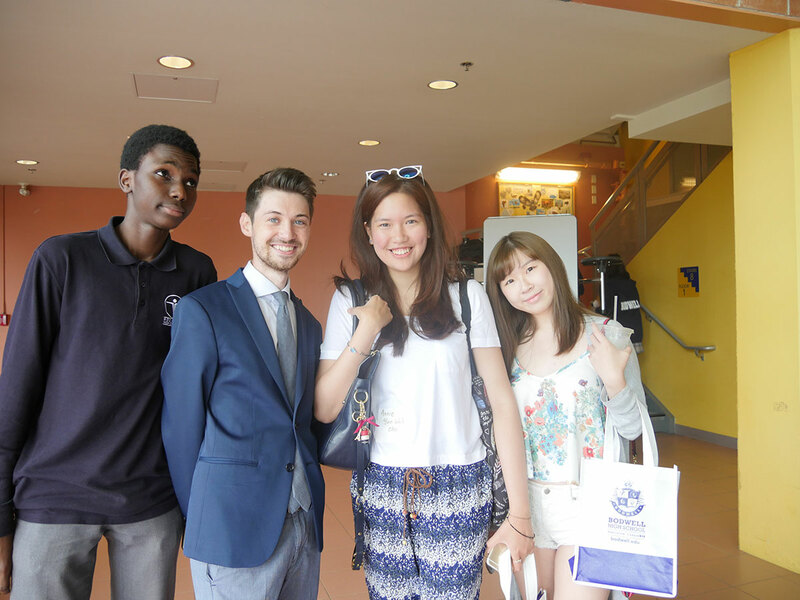 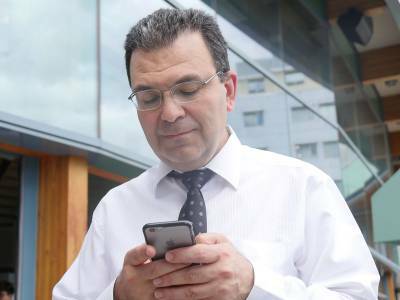 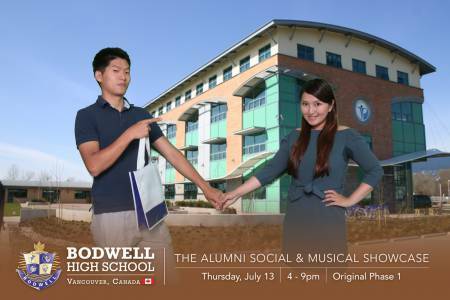 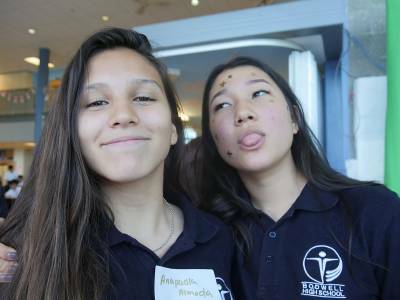 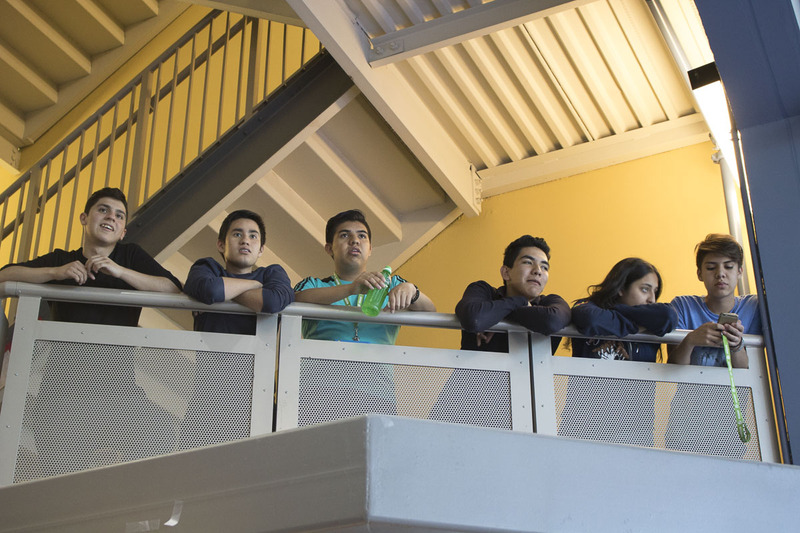 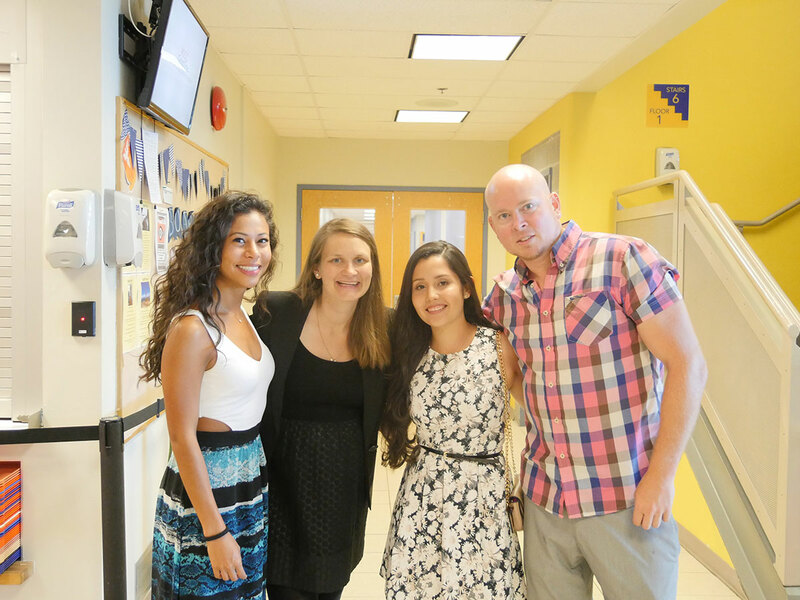 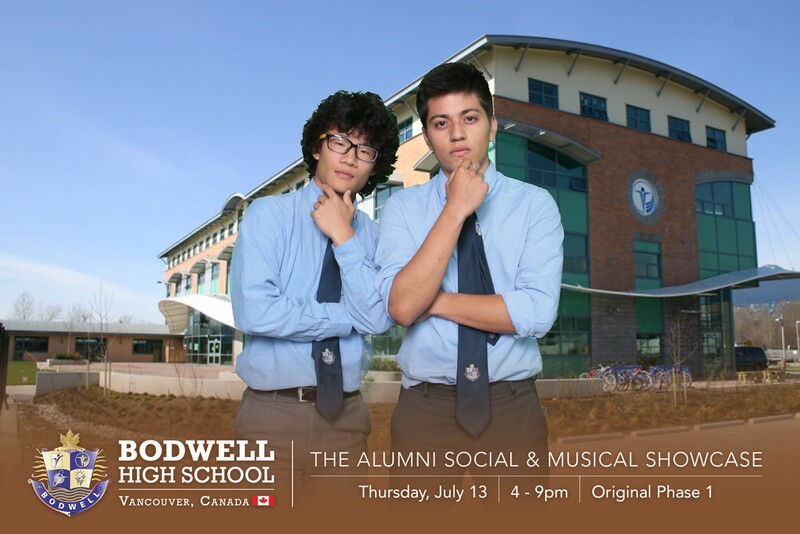 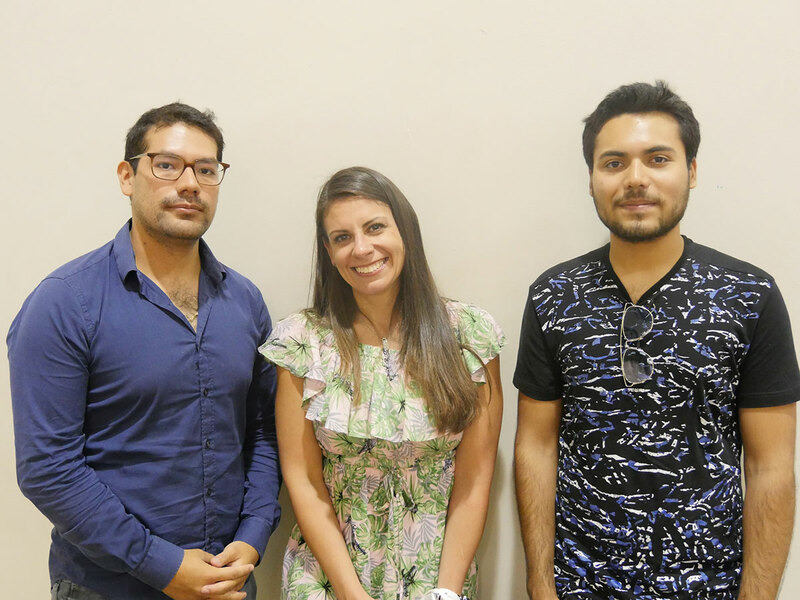 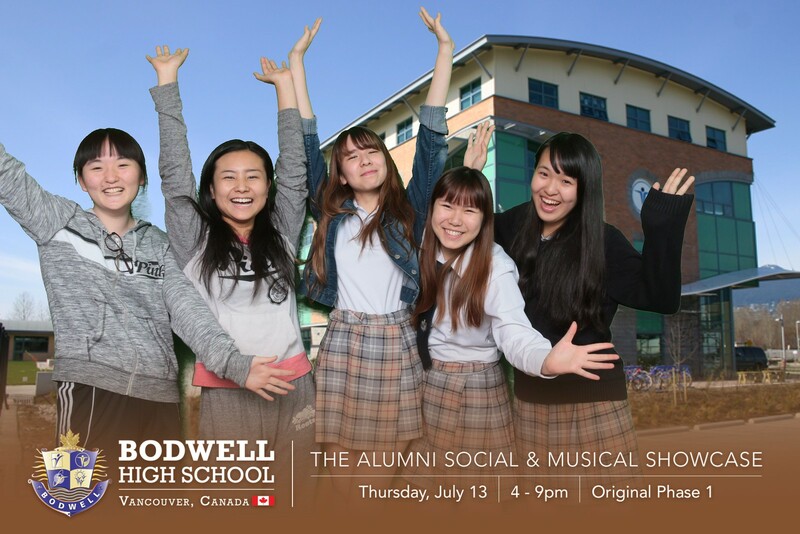 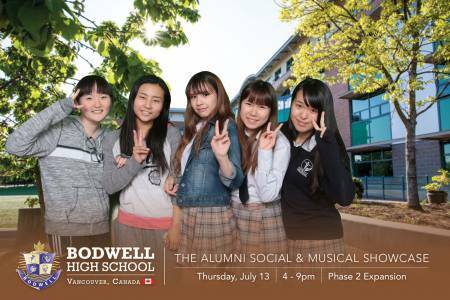 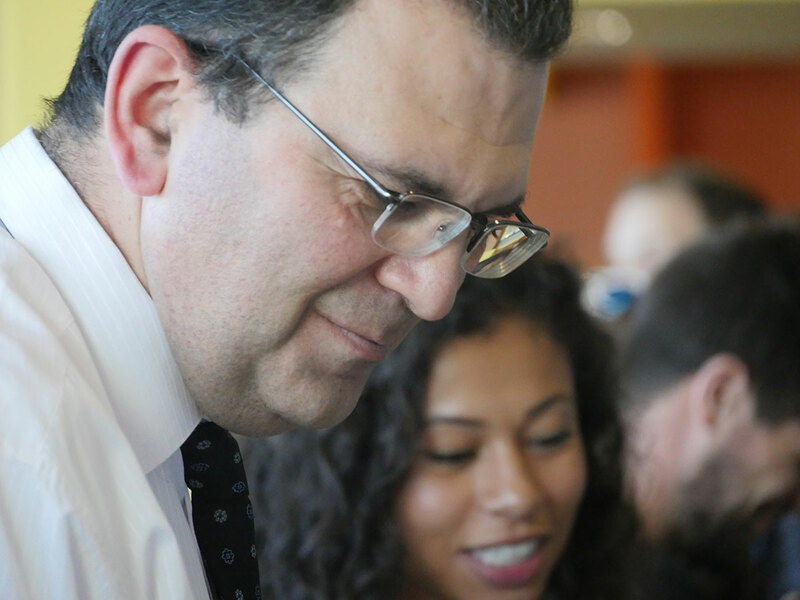 The purpose of this specific fund is to offer entrance tuition scholarships to students in need, especially to attract students from countries which are less represented in the current ethnic and cultural diversity of Bodwell High School. 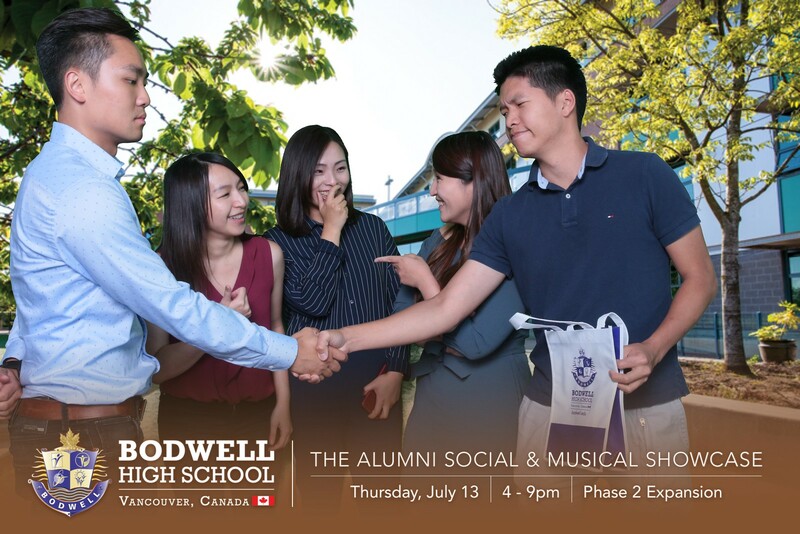 Applicants are invited according to the criteria described in the scholarship brochure, and the selection is based on the recommendation of the Principal-Academics, Registration Officer and respective counsellors. On occasions, financial bursaries will be granted for current students whose families have a change of circumstances and need support for the student to continue his/her study at Bodwell. 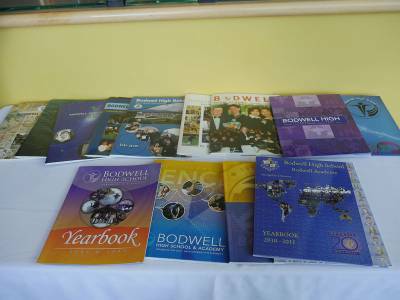 Currently, Bodwell High School’s management offers a small number of scholarships which do not cover the need. 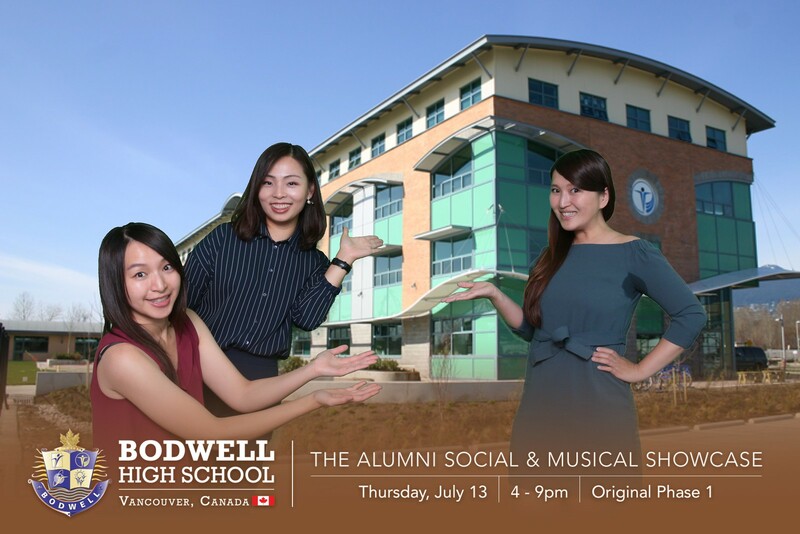 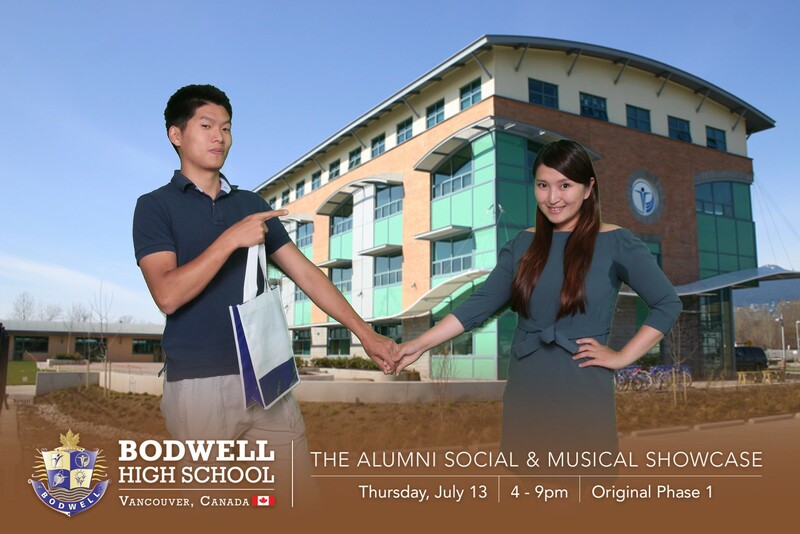 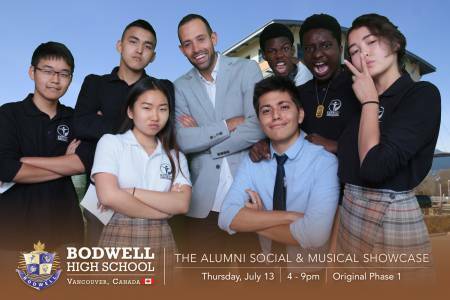 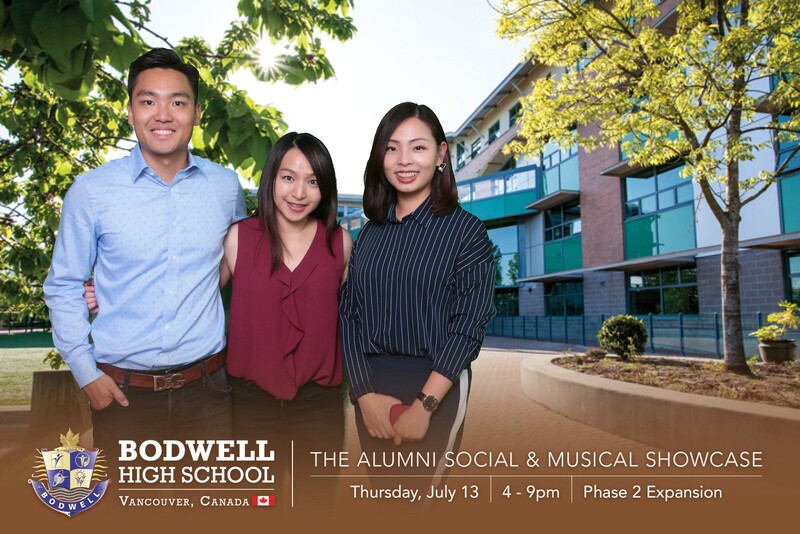 Alumni who are interested can send a cheque payable to Bodwell Academy, or contact our Senior Accounting Office, Ms. Yandy Ng, at yandy@bodwell.edu for details of direct bank deposit. Written acknowledgement and recognition of donations will be given by school, in addition to announcement on school website and social media.